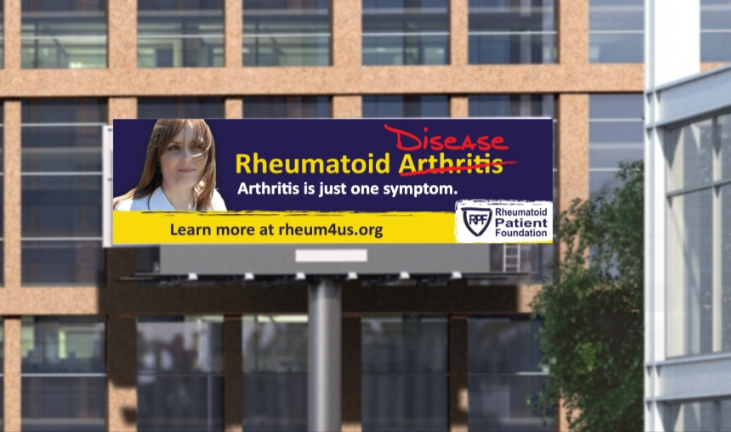 The Rheumatoid Patient Foundation is excited to announce the launch of a billboard campaign through Lamar Advertising, featuring public service announcements (PSAs) for Rheumatoid Disease. By running these as a PSA, Lamar donates the billboard space to us, so RPF only has to pay the printing costs for each billboard. 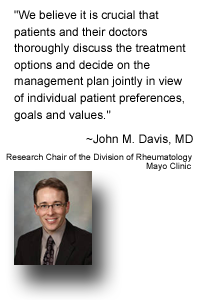 We will be starting with two billboard designs -- one in Orlando and one in Chicago. The specific location of the advertisement will vary throughout the year depending on when and where Lamar has open space in each of those markets to run a PSA. This means, if you live in the Chicago or Orlando areas, you may see our ads in multiple locations throughout the course of the year! Follow us on Facebook to keep up to date on where you can find the billboards. 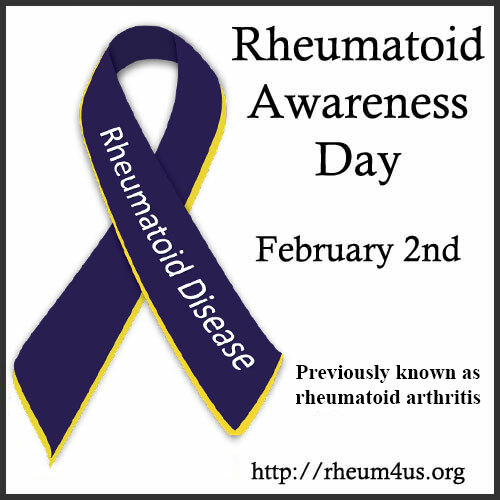 Our initial campaign will feature one ad with messaging that brings awareness to the fact that Rheumatoid Disease is not "just arthritis," and another ad focused on the invisible nature of this disease. Check out the previews of our designs below! 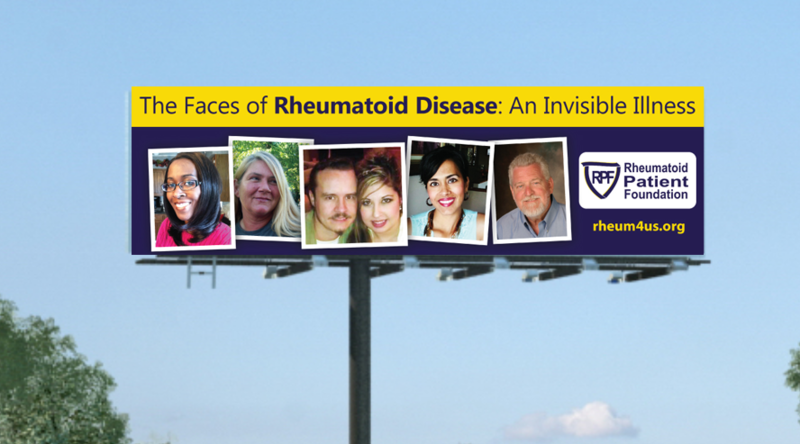 We want to give a big shout out to Barbara at Lamar who helped us set up this program, and also to the RD patients who donated the photography that we used in these ads. Want to see your face on a billboard? 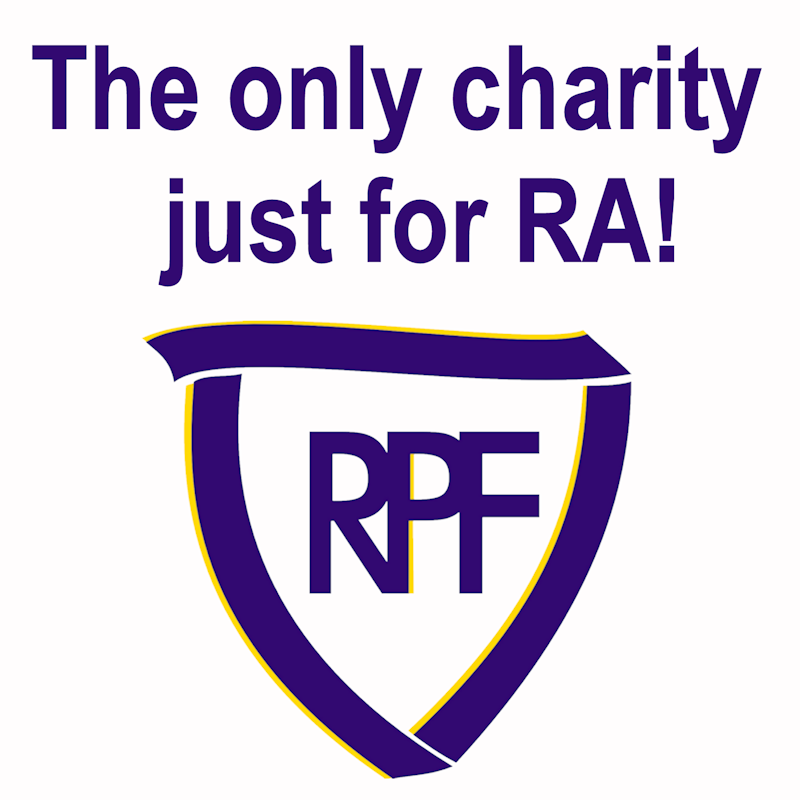 Donate a photo, and you could be next!